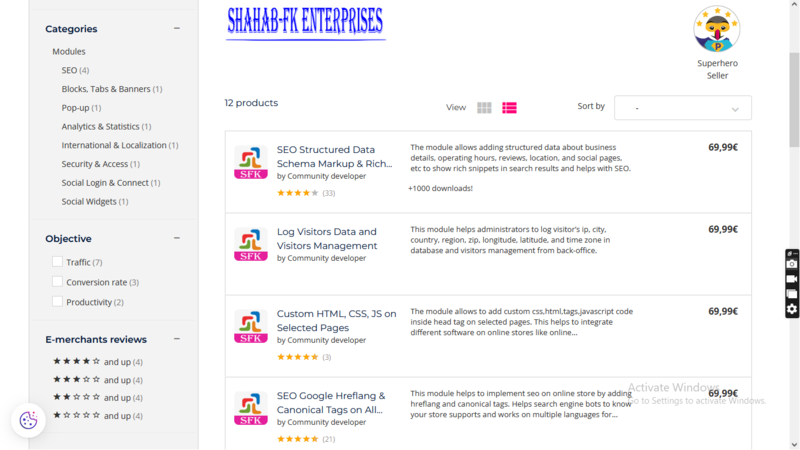 This prestashop addons helps to add structured data about business details, operating hours, reviews, location, and social pages etc to show rich snippet in search results and help in SEO. Structured data refers to information with a high degree of organization, such that inclusion in a relational database is seamless and readily searchable by simple, straightforward search engine algorithms or other search operations. Structured data is added directly to a page’s HTML markup. Search engines use structured data to generate rich snippets, which are small pieces of information that will then appear in search results. JSON-LD is the format that Google regularly recommends. It helps in online store quality in the eyes of Google. Itâs important SEOs understand its usefulness and impact. In 2009, Google further refined snippet results by introducing ârich snippets.â Rich snippets serve as a âsneak previewâ for listings on the SERP and can supplement search query results with more detailed information. This additional information can help searchers gauge which website might best answer their search query. – Helps in Search Engine Optimization. Boost Your SEO by Using Schema Markup. – Helps in improvement in ranking in all search engines. – Helps in increase in web traffic. – Helps to get targeted traffic and related store products and services. – Provide greater information to search engines to improve their understanding about your business and of the content on your website. – Google Business Listing, in doing so improves local SEO. – Implementing rich snippets can have a huge impact on how your pages perform in the search engines. – It helps to improve click through rates and attract more targeted traffic. – Compatible with PrestaShop 1.5.x, 1.6.x and 1.7.x. – Multiple browsers compatibility (IE, Firefox, Opera, Safari, Chrome and Edge). – Mobile, Tablet and all devices compatible. – Drawing a customer’s attention to your relevant result. – Providing instant information as related to their query. – Eye catching results => drawing a search userâs attention from your competitorsâ listings to your own result. – Potential CTR increase => Possibly increasing click through rates and lowering the chance of the user âbouncingâ as they see more information about the page before clicking through (there is also the potential to deter users if the additional rich snippets information shows something they were not looking for). – Providing âqualityâ results => offering results that could match the userâs intent more closely. On the downside, if the informational benefit of the rich snippet satisfies the users search query, it might eliminate the need to click through for further engagement. -Install module using install button. -Access module from back-office “Moreâ section. – Please watch module installation, configuration and how to use video on our YouTube channel. 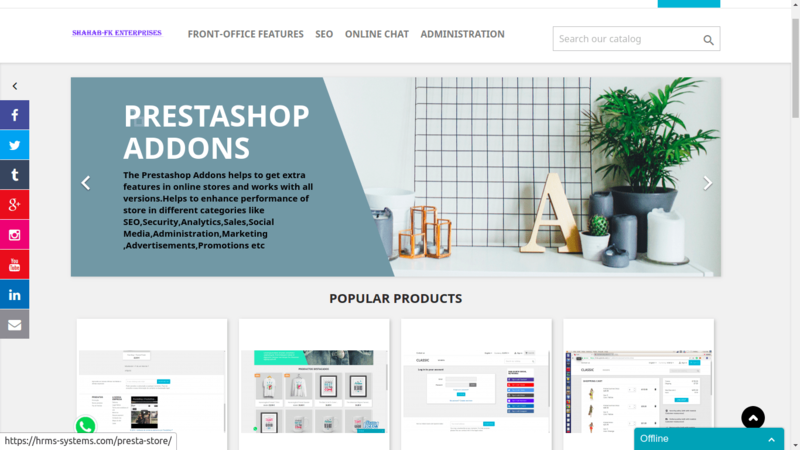 – The Module for PrestaShop was developed for versions 1.5.x, 1.6.x and 1.7.x, guaranteeing full compatibility with PrestaShop’s ecommerce software. – We provide technical and feature support, as well as access to updates available for this product.